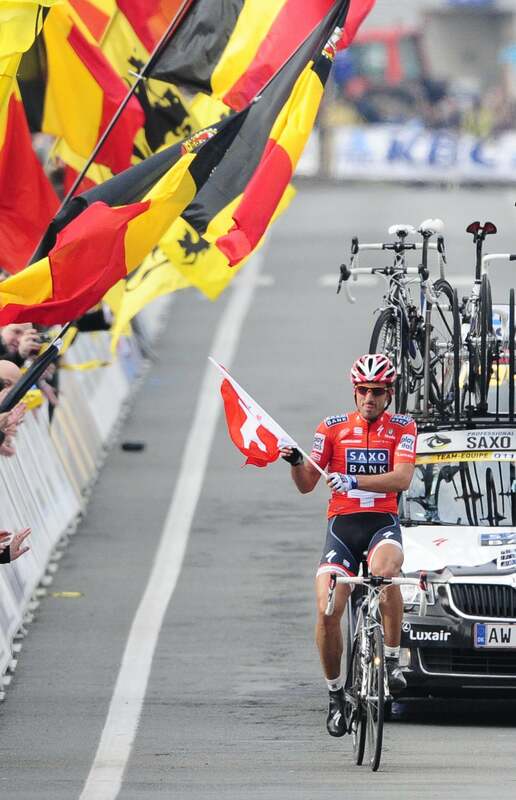 Tour of Flanders: Can Fabian Cancellara do what Eddy Merckx couldn’t? There has never been such an overwhelming favorite for the Tour of Flanders as Fabian Cancellara is this weekend … since a certain Eddy Merckx in 1970. Fabian Cancellara won the Tour of Flanders in 2010. Can he do it again? 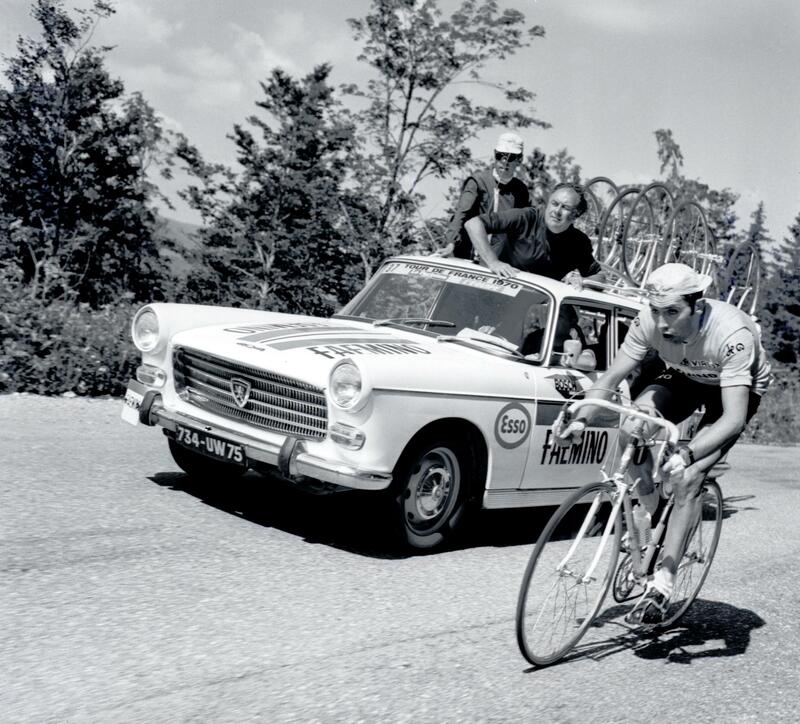 That year, Merckx was at the height of his powers. He was the defending champion (having won the 1969 Flanders in a 73km solo break 5:36 ahead of runner-up Felice Gimondi) and just four days before the 1970 edition he won Ghent-Wevelgem in another solo attack, winning by 10 seconds after a late attack. Well, Cancellara won last year’s Flanders at the end of a 45km break started with Tom Boonen, whom he eventually beat by 1:15, with Philippe Gilbert in third, at 2:11. And just a week ago Cancellara won the E3 Prijs Vlaanderen semi-classic by a minute after a solo breakaway of 20km. Not that different from what Merckx did four decades ago. If Cancellara is going to do better than Merckx and defend his Flanders title, the Leopard-Trek leader will need great team support. He’ll get that from Aussie veteran Stuart O’Grady and Dutch riders Joost Posthuma and Tom Stamsnijder, but he doesn’t have a man to act as a decoy as he did at Saxo Bank in the 2010 race, when Matti Breschel, who was also a potential winner, forced other teams to mark his attacks before Cancellara made his move. Other favorites do have those decoys. Two-time winner Boonen has Frenchman Sylvain Chavanel, who loves this race and likes getting in long-distance breakaways. Gilbert, who is hungry for his first Flanders victory after placing third the past two years, has the on-form Jürgen Roelandts and André Greipel to get in breaks. And world champ Thor Hushovd can count on his Garmin-Cervélo teammates Tyler Farrar and Heinrich Haussler, who are both approaching top form. 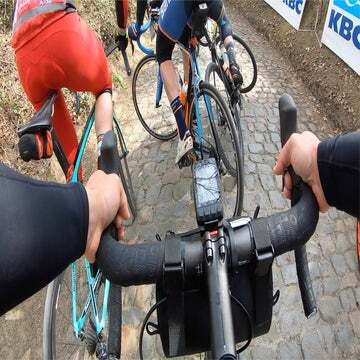 Wet cobblestones certainly alter the dynamics of the Ronde van Vlaanderen, both in terms of tactics and riding style. More crashes and punctures happen in the rain, which increases the chances of riders falling on nasty cobbled climbs like the Koppenberg. Remember, even in the dry 2009 edition, that Cancellara snapped his chain on the Koppenberg to end his chances…. 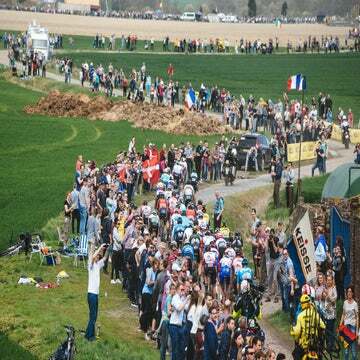 Last year, in dry conditions again, Cancellara made his winning acceleration on the steep Kappelmuur section of the Mur de Grammont sitting down and using his power to keep a high cadence on the cobbles to drop the out-of-the-saddle Boonen. Will he have to shift lower in the rain and not have the same advantage? The rain will also help those teams, including Garmin, that have multiple leaders. Because if one of them crashes and flats, that team will still have strong riders at the front of the race. BMC Racing is such a squad, with former winner Alessandro Ballan and highly experienced teammates George Hincapie, Manuel Quinziato and Greg Van Avermaet. Another is the Sky team, with Juan Antonio Flecha, Edvald Boasson Hagen and Geraint Thomas all looking good. Other dark horses include Vacansoleil’s Stijn Devolder and Bjorn Leukemans, Saxo Bank-SunGard’s Nick Nuyens; RadioShack’s Dimitriy Muravyev; Rabobank’s Lars Boom and Sebastiaan Langeveld; Katusha’s Filippo Pozzato and Sergei Ivanov; Liquigas-Cannondale’s Peter Sagan; and Astana’s Maxim Iglinskiy. Strangely, no major media outlet has included HTC-Highroad’s Matt Goss, the Milan-San Remo winner, in their predictions. 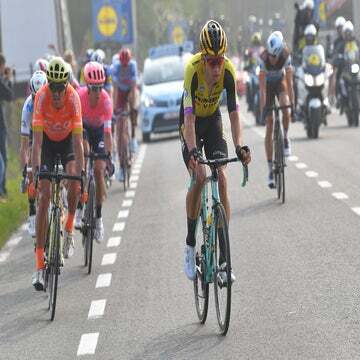 And yet the dogged Australian has great team support in Lars Bak and Bernhard Eisel, and showed last month that he can produce a fine sprint at the end of a long, tough classic. And his teammate Mark Cavendish should not be dismissed either. Remember, Cavendish and Goss are the last two San Remo winners — a classic that Merckx won a record seven times. The Cannibal won only two editions of Flanders: After his famous 1969 victory he had to wait six years before his second success, again in a breakaway, finishing a half-minute ahead of Frans Verbeeck after a 15km solo. So, though everyone says that Cancellara will win on Sunday, history points to a different outcome. Some teams are saying that they will have to attack early to put the Swiss rider’s Leopard team under constant pressure; others want to keep as many riders in the mix until the finale and hope they can keep Cancellara in check and out-sprint him at the end. What’s sure though is that defending your title in the Ronde is one of the toughest tasks in cycling. Just ask Merckx.